① Add the miso and smoked bonito to a bowl, mix, and set aside. Finely chop the leeks. 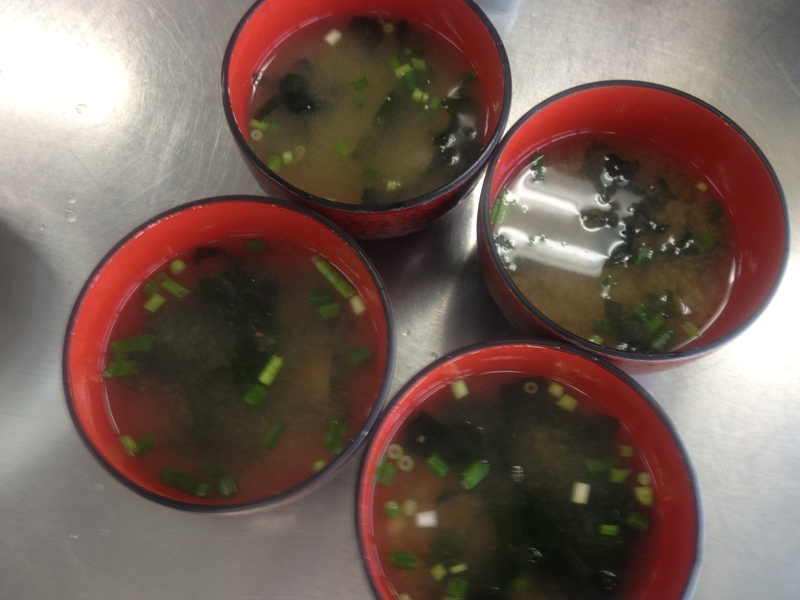 ② To the miso and smoked bonito mixture, add the dried wakame and hot water, and mix. ③ Sprinkle on the chopped leeks.